Belgian chocolate thermally fused laminate makes a beautiful and modern walk-in closet. 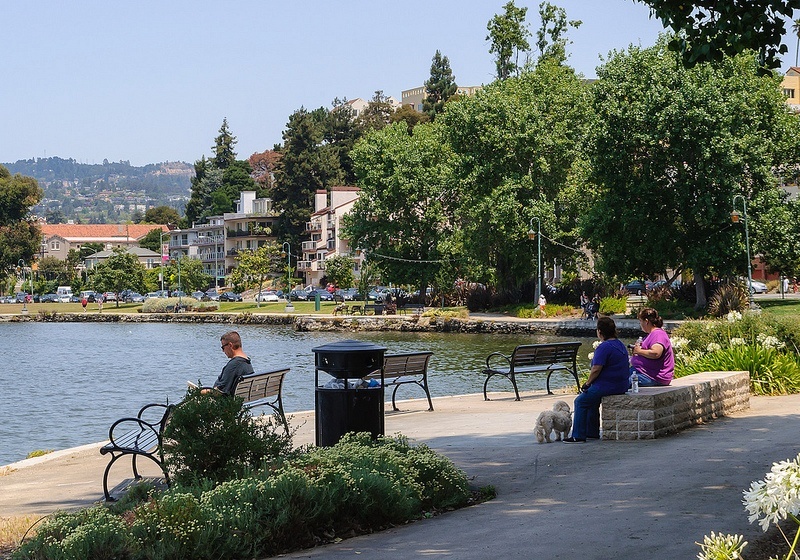 Any time we do work in Los Gatos, we see the same thing: families strolling around the beautiful, walkable downtown, people getting ready to hike the Santa Cruz foothills, and friends having brunch at the Los Gatos Cafe. It’s a great area, and since it’s within commuting distance of the tech businesses in San Francisco and Silicon Valley, it’s an ideal place to live, especially for people who are moving out of the city and starting a family, and they’re looking for more space. But we also see people whose big houses simply don’t have enough storage and clothing space because the builder made the closet an afterthought. Bay area residents appreciate the natural beauty, and eco-friendly building materials are another way to express appreciation for nature. As a long-time California resident, I know about the area’s relationship with nature. Around the Bay--and up and down the valley--is a surprising amount of natural beauty along with the beautiful new homes, spectacular redesigns, and architecturally-imaginative new tech headquarters. We don’t really care much for sterile office parks (and thankfully many of the tech companies building campuses in the area agree), and we know what we build should complement nature. But we also know that there is no need to sacrifice beauty or design for earth-friendly choices. When it comes to maximizing space, eco-friendly materials go hand-in-hand with smart and elegant design.